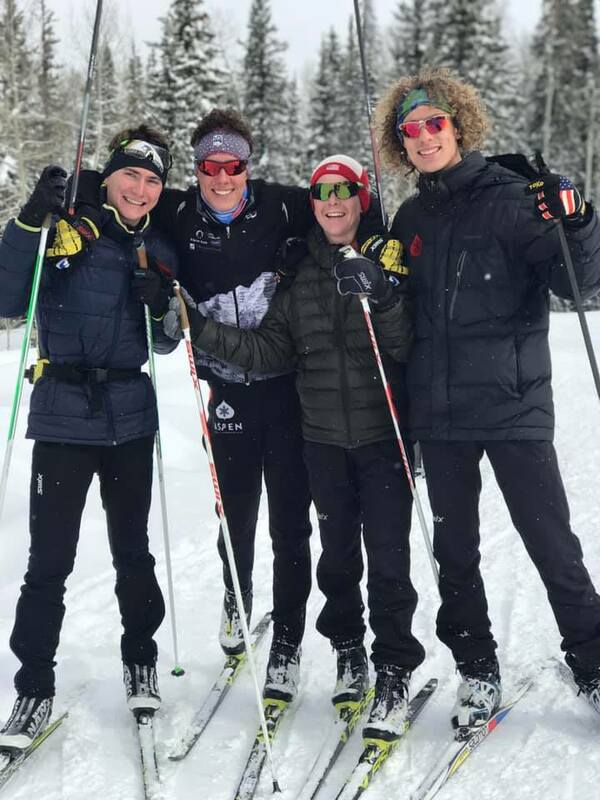 Congrats to AVSC Nordic for an incredibly strong showing at the Rocky Mountain Junior National Qualifying event this past weekend in Durango, CO! Everett Olson earned a 1st place finish in the 10km Skate individual start on Saturday and a 3rd in the 10km Classic Mass start on Sunday. In Saturdays Skate race, Colt Whitley was only 2 seconds behind Everett to earn 2nd. Kate Oldham took home 1st place in both the U18/U20 5km Skate and U8/U20 7.5km Classic races. Anders Weiss took home 2nd in both Saturdays 5km Skate Individual start and Sundays 5km Quick read more or view full article Classic Mass Start. Elsie Weiss won the U14 Skate Individual Start 3km on Saturday. 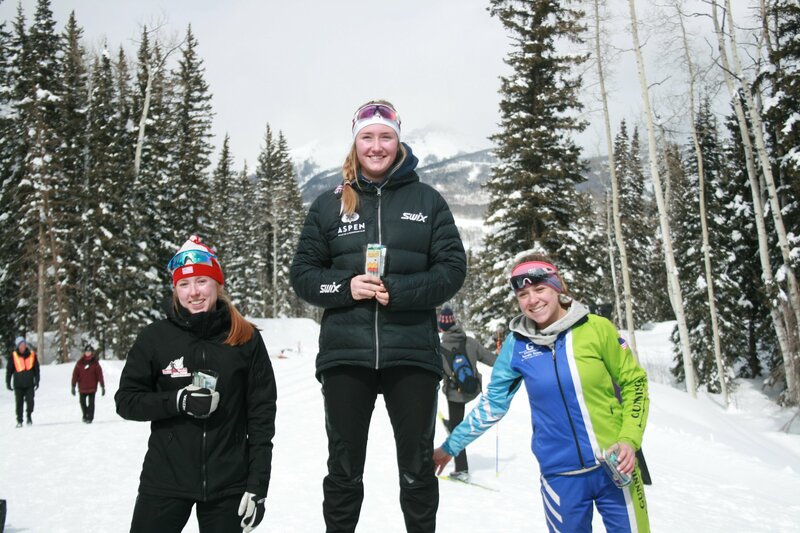 Their success this season has placed 8 of our skiers on the Rocky Mountain Junior National Team! This team will be traveling to Anchorage, Alaska in March to compete against the country’s top Juniors. Great work, AVSC Nordic and GOOD LUCK in Anchorage to Kate, Lizzy, Jordan, Everett, Colt, Noah, Emma, and Anders! Visit our online store, open until 10pm MST on Wednesday! Check out options from Under Armour, Champion, and more for women, men, and children! Please place your order before 10pm on Wednesday (2/20) - we cannot accept late orders! This article was originally published in the Aspen Times by Austin Colbert. Photo by Austin Colbert. Not sure who Hanna Faulhaber is? No reason to fret, because no one really does. But the Aspen Valley Ski and Snowboard Club athlete looks like she'll be the next to join a growing list of local halfpipe skiers worthy of recognition. "She hasn't really been to any of these big contests yet," AVSC pipe and park coach Greg Ruppel said. "That training time and staying home the past couple of Quick read more or view full article years helped, because now she is just blowing up onto the scene. Everybody is like, 'Where'd she come from?'" Faulhaber, 14, is a freshman at Basalt High School and only is competing at the FIS level for the first time this winter. Most of her competitions this season have been through the U.S. Revolution Tour. That, and a surprise trip to the FIS Junior World Ski Championships in Leysin, Switzerland, but more on that later. Regarding Rev Tour, Faulhaber is just a few days removed from her first major win. She recorded a couple of top 10 results in her first two Rev Tour contests, both at Copper Mountain, but broke through by winning the Feb. 12 women's halfpipe contest, again at Copper. "That was the highest win I've ever had. I've been to nationals, but never actually won. I was just super stoked," Faulhaber said Friday from Aspen. "During practice I was just stomping the run, having a fun time, just feeling super energetic. … Basically just from there I kept having that positive energy and ended up pulling it together and took first." Next up will be the Aspen Snowmass Freeskiing Open, which concludes Saturday at Buttermilk Ski Area. This will be Faulhaber's first time competing in the local Nor-Am event, where she is set to be the first to drop into the X Games superpipe for the women's qualifier at 10:45 a.m. Unlike Rev Tour, which tends to hold to the lower end of the 13 to 19 age range, these Nor-Am events often feature a higher concentration of experienced skiers. "This is a little bit of a stretch for her level of competition," Ruppel said of Faulhaber's chances of winning. "Still got a couple more tricks we'd like to get in there before the end of the season." Faulhaber, who has dual citizenship in both the U.S. and New Zealand thanks to her mother, found out about a month prior that she had been invited to the Jan. 25 to 27 Junior World Championships as part of the U.S. Ski Team. She originally thought it was a joke and her family was hesitant about paying for the expensive trip to Europe, but it was her AVSC coaches who made sure she took advantage of the opportunity. "We were pretty surprised by that invite, especially because she hadn't done any FIS contests yet. She had no FIS points," Ruppel said, noting she even had to be wait-listed for the first Rev Tour events of the year. "We were trying to ease her into it, but it's full bore, I guess." She finished sixth out of eight in the Swiss finals, won by Great Britain's Constance Brogden, who is 17. Brogden will be the second to drop into the Buttermilk superpipe behind Faulhaber on Saturday morning. "It was super cool, just being able to go to a different country and compete. It was a whole different vibe," Faulhaber said. "I don't really go into competitions like, 'Oh yeah, I have a good chance of winning it.' I'm like, 'OK, I got to try my best, compete and have a fun time and see how I do.'" Faulhaber wasn't the only local athlete to wind up on the Feb. 12 Rev Tour podium in Copper. Fellow halfpipe skier Tristan Feinberg took second in the men's competition for his best career result. Only 15, Feinberg is in his second season competing at the FIS level. "It was sunny, and I just wanted to take advantage of it and landed a run. It was the first run I've been happy with that I've landed in a while," Feinberg said Friday about his run at Rev Tour. "It feels good, but I'm definitely trying to go for that gold. But it's definitely a confidence booster and I'm hyped for the open." Feinberg also will compete Saturday in the Aspen Snowmass Freeskiing Open. He's among the few doing all three events, having come up short of Friday's slopestyle finals and Saturday’s big air finals. He'll be the 12th to drop into the men's pipe qualifier, which is scheduled for 12:30 p.m. Finals are right after. "Tristan has always had the tricks," Ruppel said. "It's more just putting a full comp run together without any bobbles or falls. And he finally did that. I'm stoked for him. Looking for him to come here and hopefully pull out his double and get into that (pipe) final." 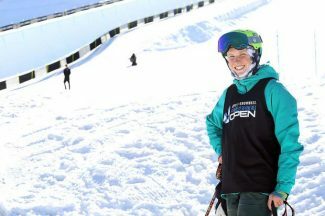 Also competing this week at Buttermilk is 15-year-old Kai Morris, another first-year FIS athlete who trains with the AVSC. He didn’t make finals in slopestyle, but will have a chance at redemption when he drops in a spot before Feinberg in pipe qualifying. Carbondale’s Joey Lang, 20, will drop in eighth. Many of these young AVSC athletes, such as Faulhaber, Feinberg and Morris, have come up through Eric Knight’s freestyle program, which has produced the likes of Olympians and X Games stars Alex Ferreira and Torin Yater-Wallace, as well as up-and-comer Cassidy Jarrell, who is competing Saturday in the finals of a World Cup ski pipe event in Canada. Faulhaber stands out as one of the lone AVSC females in freestyle skiing. Winning Friday's slopestyle contests at the freeski open were a pair of Canadians. Megan Oldham took the $3,000 check for the women, the second Nor-Am Cup win of the 17-year-old's career. She also won a year ago in Calgary. Taking home the $5,000 check for the men was Rylan Evans, easily the best FIS result for the 19-year-old. This article was originally published by Mark Godomsky, AVSC Executive Director, in AVSC's Aspen Times Column, Clubhouse Chronicles. Like many ski clubs across the country, the Aspen Valley Ski and Snowboard Club got its start as a volunteer-based organization. In the early days, volunteers cut trails, sewed competition bibs, served meals, provided housing and more. Today, the scope of programs and number of participants requires a full staff, but this spirit of volunteerism is alive and well in the Roaring Fork Valley. AVSC is incredibly proud to Quick read more or view full article pass on our passions to the next generation; our work is made better, and often possible, through the energizing and motivating support of our community. It takes a lot of people to successfully operate a 2,300-kid ski and snowboard club; thank you to our donors, volunteers, athletes, parents, business partners and many more who make it happen every day. We are always excited to have the opportunity to formally thank and recognize specific community members who have made a lasting impact on our club and the youth of the Roaring Fork Valley. Our annual Hall of Fame Dinner, a tradition that started in 2012 during the club's 75th year, is a chance to press pause mid-season and celebrate influential individuals, families or community partners associated with AVSC. At a time in the season when days start to fly by as we're heads down, hyper-focused on the next training run, the next lesson, the next competition, it gives us a chance to come up for air, reflect on and celebrate our deep roots in this community, and optimistically look toward the future. Our Hall of Fame consists of individuals who have made a significant impact on AVSC — some through their service to our athletes, some through their pursuit of excellence in their own athletic career, and many through both. Regardless of individual accolades, they are united by a belief that our mountain community is only made stronger if we inspire our youth to develop passions and excel. 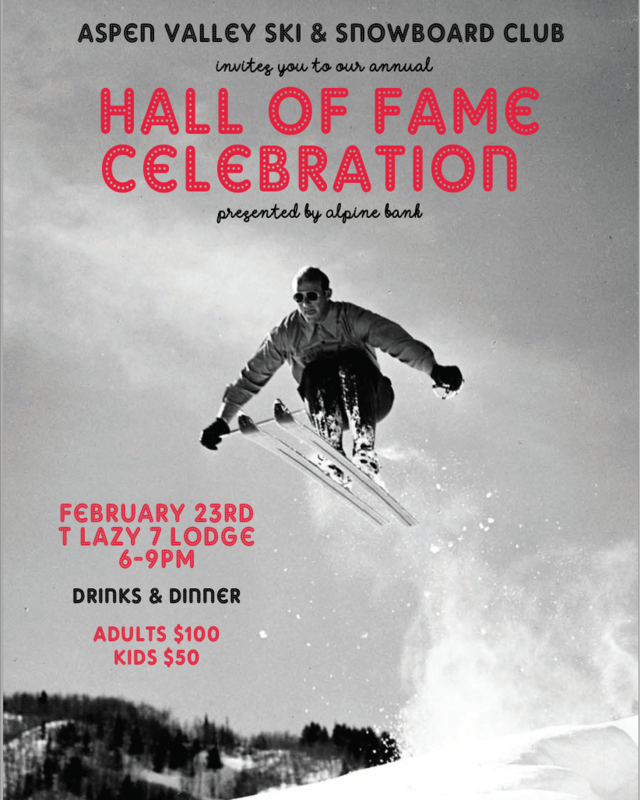 This year, we are excited to welcome John Bakken, the Oates Family and the Aspen Elks into the Aspen Valley Ski and Snowboard Club Hall of Fame. I wanted to take a moment here to celebrate each and briefly explain their contribution to our club. John Bakken is being recognized for welcoming AVSC athletes, coaches and visitors into Aspen Gymnastics as their second home. Athletes of all disciplines have benefit from John's guidance in physical and mental awareness. The Oates family is being recognized for their longstanding and multigenerational relationship with AVSC, starting with Cherie, who started skiing when the first lift on Aspen Mountain went in (eventually becoming a U.S. Ski Team member) and continues today with multiple staff members and athletes. 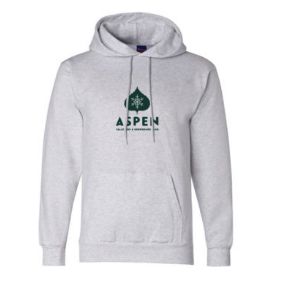 Aspen Elks is being recognized for providing support to AVSC in many ways, from scholarships for competitive athletes (helping them secure spots on national team rosters) to providing funding each summer for our Fourth of July barbecue, a cherished AVSC tradition. Our Hall of Fame Dinner is open to the community. If you'd like to join us, we will be eating a delicious dinner, enjoying libations from Capitol Creek Brewery and Woody Creek Distillery, and celebrating John, the Oates Family and the Aspen Elks at T-Lazy-7 Ranch on Saturday, Feb. 23. Purchase tickets on our website (www.teamavsc.org/events) to join the celebration!